Wonderful 3 bedroom Villa constructed to the highest standard situated on a quiet residential area near Portimao. 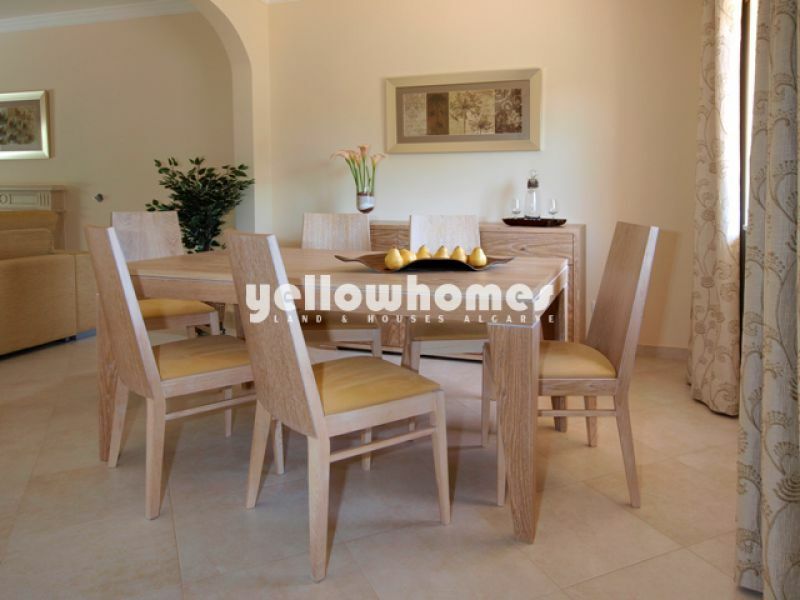 You enter the property into a spacious dining room area openly connected to the spacious living room with central fire place. 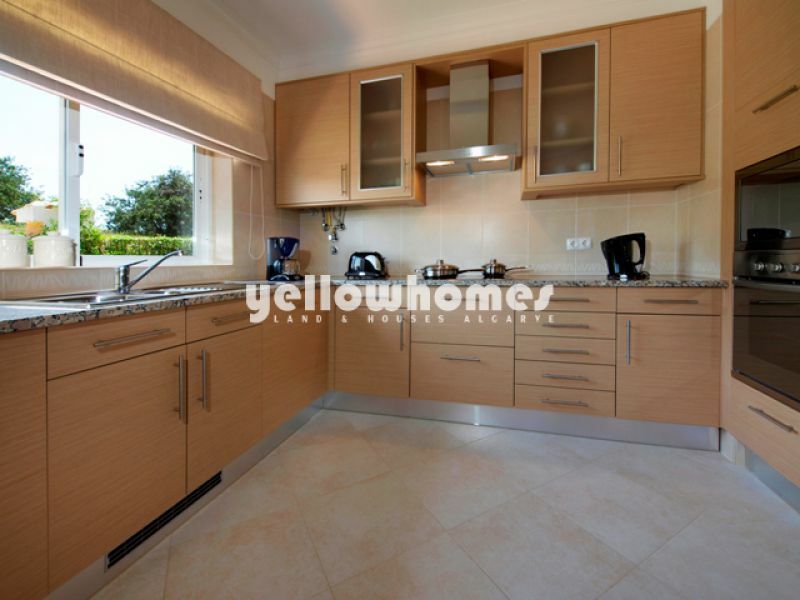 Well equipped and fully furnished modern kitchen with electric hob and gas boiler for hot water. Ground floor double bedroom with en-suite bathroom and fitted wardrobes. Extra storage area under the staircase. Both bedroom and lounge give access to nice outside sitting area with space for BBQ. Upstairs a further 2 double bedrooms with 1 en-suite bathroom + 1 extra guest bathroom all with fitted wardrobes. Extra front side semi covered terrace. 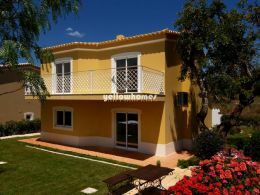 The Villa has air conditioning units in all rooms and double glazing throughout. Good access to a small but well kept garden with auto irrigation system. Private swimming pool of 3x6m. Large open carport. The property is part of a large urbanization with centrally located communal outdoor and indoor swimming pool, tennis courts and children playgrounds. Mains water, drainage and electricity. 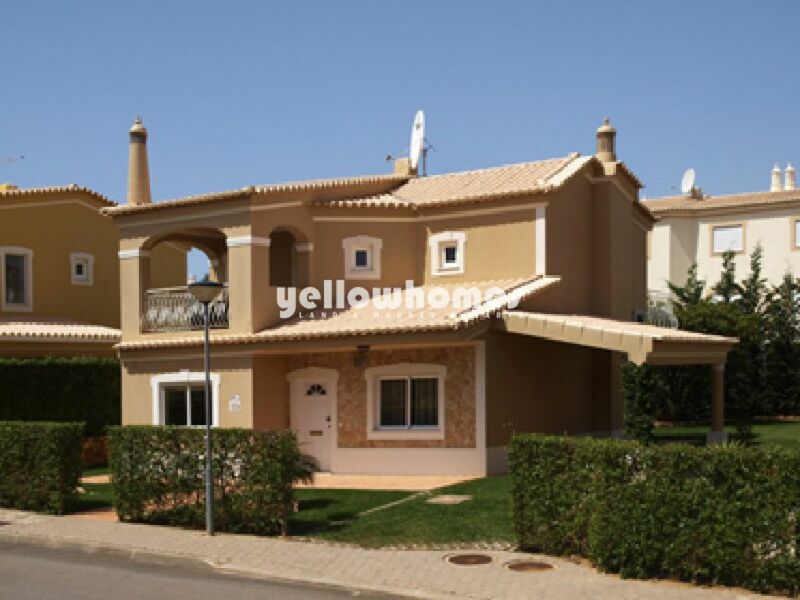 Very easy access within minutes from Portimao and Alvor beaches, several major shopping centre?s and Motorway. Great location for perfect easy living! Energy certificate class D.